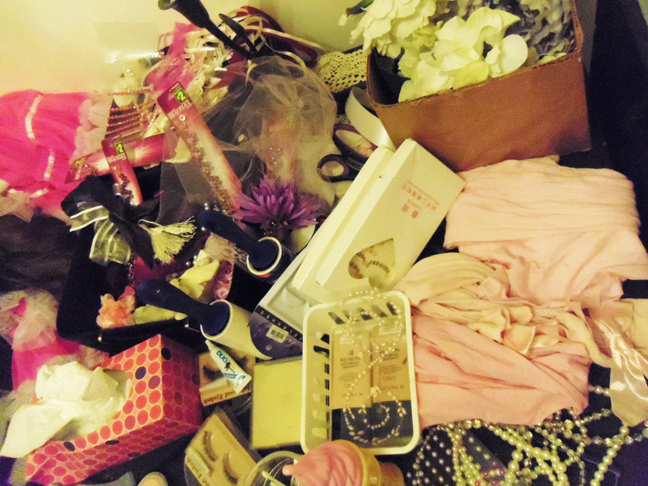 Our accessories/prep table exploded with pink and sparkle! The amazing Savija Ellis created intense hair for this shoot! 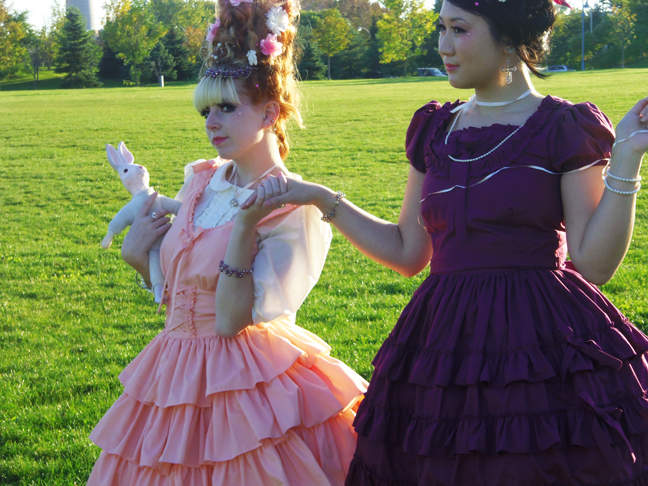 Enormous towers of shining curls reminiscent of Versailles and Marie Antoinette. Transforming the models into confections of pink and purple! 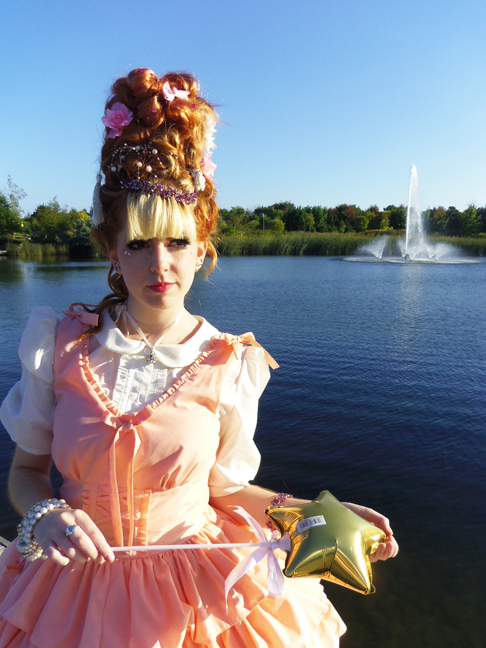 I was very inspired by sugar kei when choosing the accessories and makeup- adding every color coordinating clip and bauble to the hair and a ton of eyelashes. We set out to create a glowing day-dream. 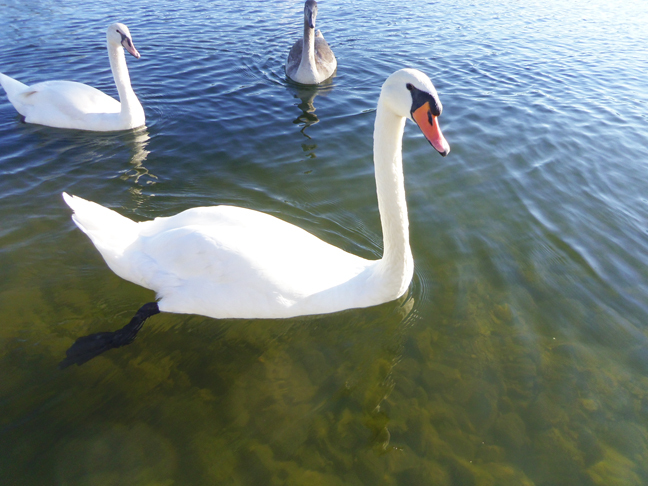 Complete with graceful swans! 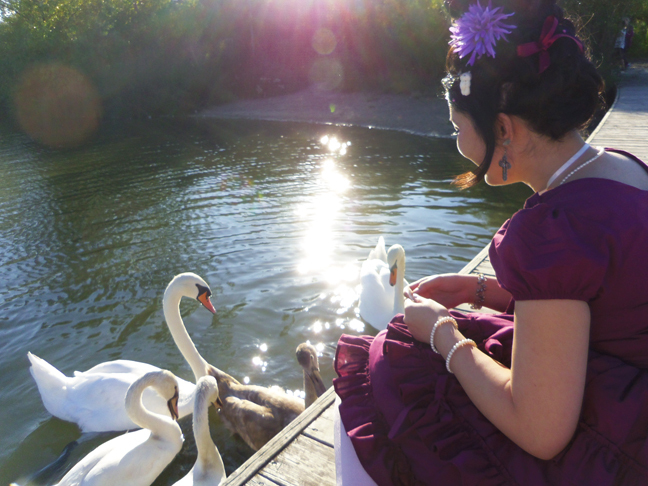 These swans were kind of jerks however, one tried to pull the pearls right from model Linda’s wrist! Probably wanted to pawn them for bread, untrustworthy waterfowl. 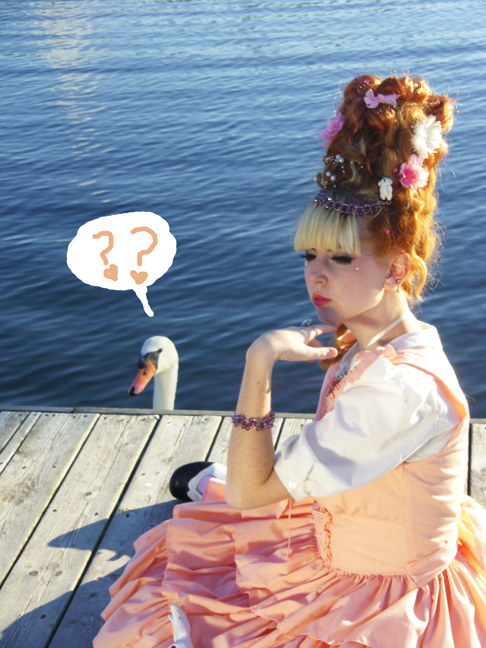 Linda looking bummed out by the jerk swans. 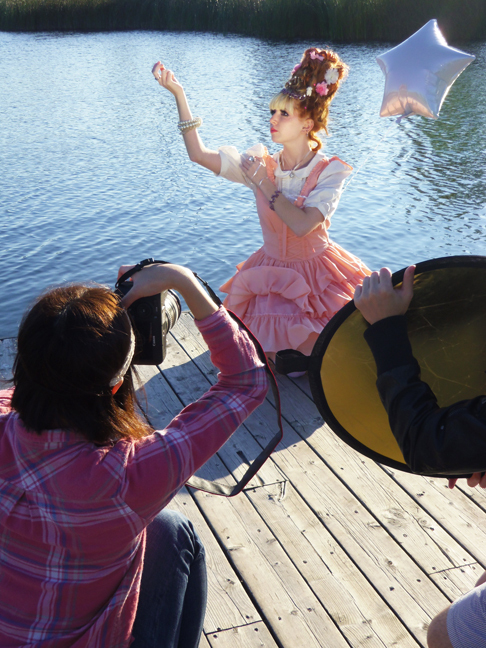 Autumn weather is so moody and unpredictable, we really lucked out with such a perfect day for our shoot. Nikki’s red hair looked amazing with the peach pink version of our “Princess” dress! You can see the complete series from this day over in our facebook! 🙂 Loads of thanks to our incredible models, talented hair stylist, and amazing photographer!